Tarika Vijayaraghavan completed a Bachelor of Technology in Bioinformatics from Dr. D. Y. Patil University, Navi Mumbai, India. She then went onto to acquire research based credits in Genomics from Bellevue College, Bellevue, USA. Tarika completed her Master’s in Biochemistry at McGill University, Montreal, Canada. Her master’s research project was supervised by Dr. Arnim Pause where she studied the importance of AMPK and tumor suppressor Folliculin in bacterial resistance in C. elegans. 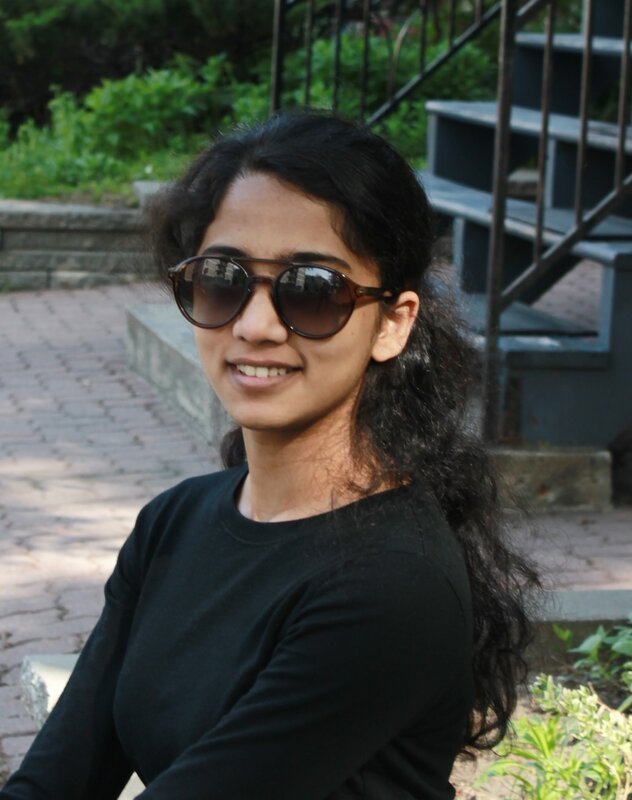 In the Neumann lab, Tarika is studying axonal regeneration in C. elegans, with a focus on the molecules and mechanisms behind the process of regenerative axonal fusion. Tarika joined the Neumann lab in April 2017. El-Houjeiri L*, Possik E*, Vijayaraghavan T, Paquette M, Martina JA, Kazan JM, Ma EH, Jones R, Blanchette P, Puertollano R, Pause A (2019). The transcription factors TFEB and TFE3 link the FLCN-AMPK signaling axis to innate immune response and pathogen resistance. Cell Reports 26, 3613–3628. Journal link. bioRxiv version. Byrne JJ, Soh MS*, Chandhok G*, Vijayaraghavan T, Teoh JS, Crawford S, Cobham AE, Yapa NMB, Mirth CK, Neumann B (2019). Disruption of mitochondrial dynamics affects behaviour and lifespan in Caenorhabditis elegans. Cellular and Molecular Life Sciences https://doi.org/10.1007/s00018-019-03024-5. Brief summary. Teoh JS*, Wong MYY*, Vijayaraghavan T*, and Neumann B (2018). Bridging the gap: axonal fusion drives rapid functional recovery of the nervous system. Neural Regeneration Research - Invited Review 13(4):591-594. Journal link. Lundquist MR, Goncalves MD, Loughran RM, Possik E, Vijayaraghavan T, Yang A, Pauli C, Ravi A, Verma A, Yang Z, Johnson JL, Wong JCY, Ma Y, Hwang KS, Weinkove D, Divecha N, Asara JM, Elemento O, Rubin MA, Kimmelman AC, Pause A, Cantley LC, Emerling BM (2018). Phosphatidylinositol-5-Phosphate 4-Kinases Regulate Cellular Lipid Metabolism By Facilitating Autophagy. Molecular Cell 3;70(3): 531-544.e9. Pubmed link. Possik E, Ajisebutu A, Manteghi S, Gingras MC, Vijayaraghavan T, Flamand M, Coull B, Schmeisser K, Duchaine T, van Steensel M, Hall DH, Pause A (2015). FLCN and AMPK Confer Resistance to Hyperosmotic Stress via Remodeling of Glycogen Stores. PLoS Genetics, 6;11(10):e1005520. PubMed link. Vijayaraghavan, T, Tagore, S (2015). Flux Balance Analysis and Thermodynamics: Trends and Strategies in Disease Biology, Current Bioinformatics, 10(3): 268-283. Journal link.